Shrewsbury was diabolical in its 3-0 English FA Cup first round loss to Walsall last week so oppose the Shrews when they make another relatively short trip for their English League One derby match against mid-table Port Vale. It may have not the glamour and glitz of Arsenal versus Tottenham, Liverpool against Everton or Manchester City versus Manchester City but Shrewsbury against Walsall is a big game in England’s lower leagues. There is considerable animosity between the midlands teams so for Shrewsbury to roll over and have its tummy tickled by Walsall was very odd. 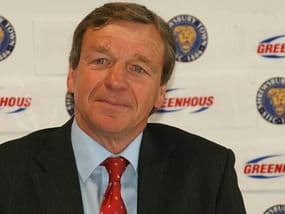 Shrewsbury manager Graham Turner went ballistic in his post-match media conference, labelling his side’s display as embarrassing and inept. Shrewsbury may respond positively to Turner’s rant but the Shrews are a decidedly ordinary team that has not won away from Shropshire since April 2013. All up, Shrewsbury has drawn six and lost six of its last dozen road games, including losing its last four away assignments with only one goal to show for its efforts or lack thereof. Port Vale is three rungs and four points ahead of Shrewsbury on the English League One ladder, it had beaten Crawley 3-0 away and Gillingham 2-1 at home before going down 2-5 at Swindon in a crazy clash and last time out it avoided a potential banana skin, winning 4-0 at Shortwood in the English FA Cup first round to earn a second round date against another non-league outfit, Salisbury. BetVictor has chalked up odds of 2.25 about Port Vale and, in view of the contrasting fortunes of the Valiants and Shrewsbury, as well the English League One ladder, those odds appear somewhat generous. Port Vale should be around the 2.00 mark to consolidate its position in the top half with a home victory over an out-of-form opponent. Brentford was one of the hot tips to win English League One before the season kicked off and even Bees boss Uwe Rosler would admit that the rich London side has under performed. Brentford has, however, won each of its last five matches across all competitions, and it appeals at odds of 1.50 with Coral to make it six in a row versus Crewe. English League Two team Wycombe held Crewe to a 1-1 draw in the English FA Cup first round last week, a result that was fair accordingly to impartial observers and suggests that the Alex will struggle to avoid defeat against Brentford. Both of last term’s English League One encounters between Brentford and Crewe were very one-sided affairs. Brentford thrashed Crewe 5-1 at Griffin Park in August 2012 and the Bees left the Alexandra Stadium in April 2013 with maximum points courtesy of a 2-0 win. Everything points to Brentford securing another three points in its latest promotion push. Nigeria leads Ethiopia 2-1 going into the home leg of its 2014 FIFA World Cup qualification play-off. Nigeria’s Super Eagles have an imposing home record in FIFA World Cup games, with 16 wins, three draws and no losses since the turn of the century. Ethiopia’s away numbers in competitive matches are almost the total opposite of Nigeria’s home statistics so the Super Eagles, available at odds of 1.33 with Boylesports, are safe to include in one’s multiples. One should note that the 2014 FIFA World Cup qualification play-offs second leg between Senegal and Cote d’Ivoire is not going to take place in either side’s country. FIFA has ruled that the game must be played in a neutral nation so Senegal has chosen to play its home leg in the Moroccan city of Casablanca. Cote d’Ivoire leads Senegal 3-1 and, while the Elephants should book their trip to Brazil next year, backing them at odds of 1.83 with Betfred to win in Casablanca does not appeal greatly.